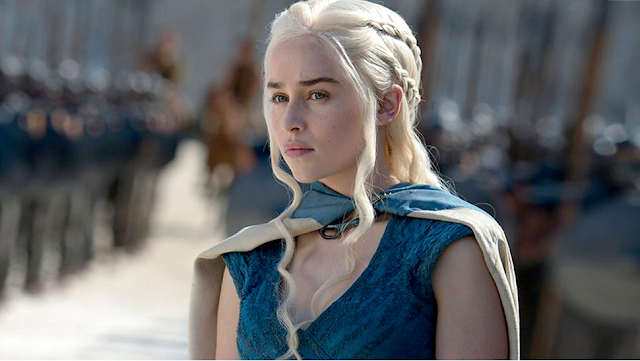 She was known as the Lady of Dragonstone, Breaker of Chains, and Mother of Dragons in the HBO's Game of Thrones. Emilia Clarke who played Daenerys, also known as Khaleesi of the Great Grass Sea revealed that she has undergone two life-threatening brain surgeries way back February 2011 after filming the season one of game of Thrones. The 32-year-old British actress shared her story she wrote for The New Yorker. The first aneurysm occurred on the morning of her first workout session when she started to feel a bad headache. "I was so fatigued that I could barely put on my sneakers. When I started my workout, I had to force myself through the first few exercises. "Then my trainer had me get into the plank position, and I immediately felt as though an elastic band were squeezing my brain. I tried to ignore the pain and push through it, but I just couldn’t. I told my trainer I had to take a break. Somehow, almost crawling, I made it to the locker room. I reached the toilet, sank to my knees, and proceeded to be violently, voluminously ill. Meanwhile, the pain—shooting, stabbing, constricting pain—was getting worse. At some level, I knew what was happening: my brain was damaged. Then, the last thing she remembered was a woman's voice, a siren of an ambulance and everything became blurry. "The diagnosis was quick and ominous: a subarachnoid hemorrhage (SAH), a life-threatening type of stroke, caused by bleeding into the space surrounding the brain. I'd had an aneurysm, an arterial rupture. As I later learned, about a third of SAH patients die immediately or soon thereafter," the actress wrote. The first surgery was a "minimally invasive," it means that the doctor doesn't open her skull. The surgeon did a technique called endovascular coiling by putting a wire into one of her femoral arteries connected to the heart and brain, where they sealed off the aneurysm. Her doctors found a second aneurysm, two years later that required another surgery, which unfortunately the procedure was failed. "I had a massive bleed and the doctors made it plain that my chances of surviving were precarious if they didn’t operate again. This time they needed to access my brain in the old-fashioned way—through my skull. And the operation had to happen immediately". As of the writing the actress is fully recovered and said that she wants to help others by launching a charity called SameYou, which aims to help people who suffered from brain injuries.